Fly to General Santos City to celebrate the week-long event and activities this first week of September, focusing on the tuna industry of the southern-most city in the Philippines. If you are a Fan of seafood, and of course Tuna, General Santos City is the place to visit. 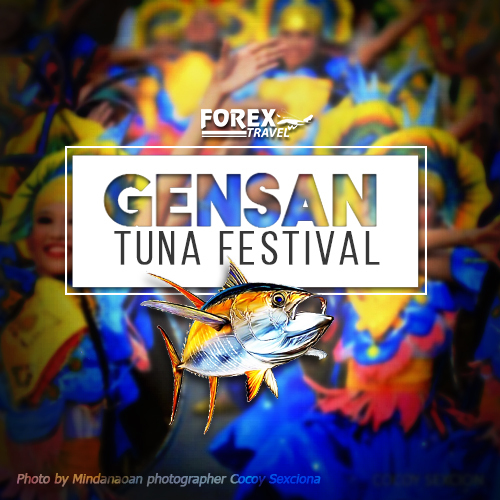 Things to watch out for are the annual Tuna Fiesta Carnival, Tuna Congress, and the Tuna Culinary Skills Competition, Dance Competition and the Miss GenSan Pageant. The festival also highlights the annual Karagatan Awards, organized by the Tuna Festival Council and local government. It honors notable individuals of the fishing industry. The City is not only famous for being the Tuna Capital of the Philippines and the home of the legendary boxer, sports-icon, congressman and current Senator of the Philippines, Manny Pacquiao but General Santos City has a lot more to offer. Book a flight to General Santos City, via Philippine Airlines or Cebu Pacific flying daily from Manila and Cebu from as low as $180 AUD. Book Now and Contact us, Call us at 0287770060 or 1300336739, Email us at reservations@forextravel.com.au. *rates and subject to change and availability.